At one point or another, you will be faced with the responsibility of home renovation. It is a huge job and can be very stressful, however, it is very crucial and you need a lot of planning to ensure everything runs smoothly and on time. When you decide it’s time for home renovation, you will definitely need to track your spending and that it is within your budget. The easiest way to achieve this is by using the home renovation budget template. You use a renovation budget planner to set a budget for each individual home renovation project you want to undertake, whether it is a room extension, kitchen makeover or even rebuild your entire home. It is relatively easier to use when compared to the spreadsheets and makes things simpler. This will help you clearly establish which projects you want to undertake and how long you want the project to last. You will therefore easily renovate projects one by one and keep to your schedule easily. You need to be able to know how much this particular renovation projects will cost you. It will help you figure out whether you can afford these renovation projects and you can start saving up for them. 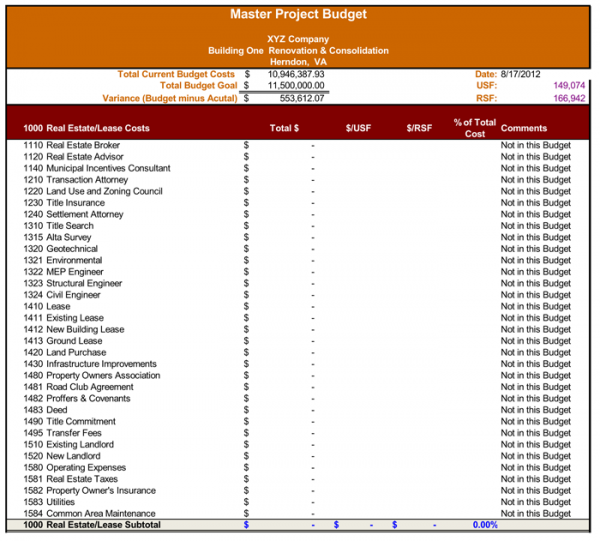 Why use a budget planner? 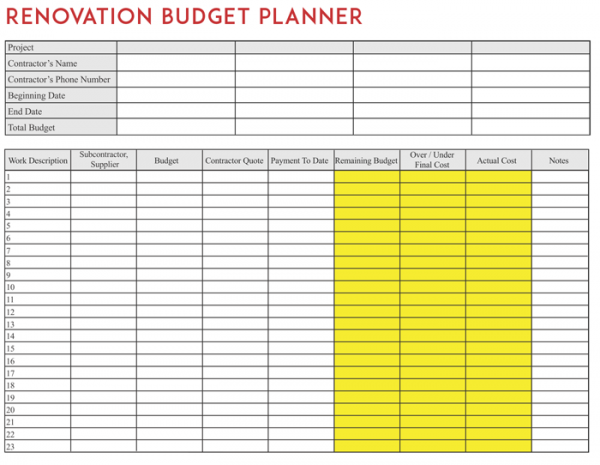 A budget planner will easily ensure you have enough money at all times for the things you need for your home renovation. It will, therefore, ensure you don’t overspend and you can easily monitor your expenses. It is never a good sign when you run short of money only to realize you did not budget it correctly and used it on a number of irrelevant things. 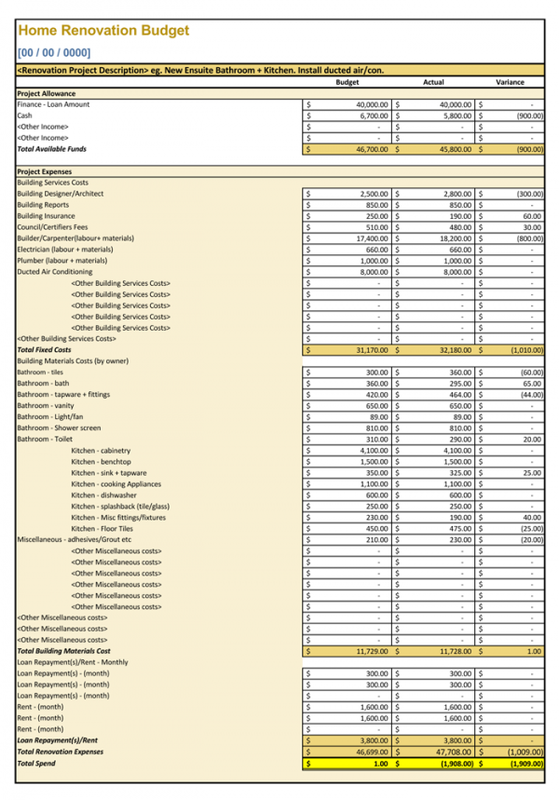 It is therefore very critical that you always use a budget planner.